Dusseldorf vs Frankfurt predictions for Monday’s Bundesliga fixture at MERKUR SPIEL-ARENA. After an excellent win on the road last time out, the hosts will be hoping to continue moving in the right direction. Read below for all our free tips and predictions. When Dusseldorf lost away against Leverkusen, it looked as though there was a chance that they’d slip back towards the drop-zone, though Friedhelm Funkel’s men have since won two on the bounce and are now almost guaranteed to avoid a fight for survival. If they win in front of a home crowd on Monday, then Flingeraner will be a whopping 15 points above the relegation play-off place. It’s very difficult to say anything negative about the way that Dusseldorf have gone about their business in the last few weeks. They were far too good for Nurnberg a fortnight ago, while they went away to Veltins Arena and outclassed Schalke last time out, as they scored four goals, conceded none, clocked 1.78 expected goals for and conceded just 0.64. If they can replicate that performance against a Frankfurt side that is likely to be preoccupied by their upcoming trip to Milan, then Dusseldorf will almost certainly gain another positive result. In front of their own fans, Dusseldorf have been doing well for a while. They did lose against Leipzig at this venue recently, though they’ve won four of their last five in front of a home crowd, scoring at least twice in four of those five, while they’ve also kept two clean sheets during that time. Moreover, since they beat Freiburg back in December, Funkel’s men have averaged 1.6 expected goals for and have conceded an average of 1.15. Frankfurt are a very good side, as the league table suggests, but they’ve not always been at their best on the road this season. What’s more, Monday’s visitors are likely to have one eye on Thursday’s Europa League last-16 second leg in Milan. Having drawn 0-0 at home in the first leg, Frankfurt have plenty to do in Italy on Thursday evening, so Monday’s game in Dusseldorf may not be too high on their list of priorities. In addition to possibly favouring their upcoming Europa League match over this, Frankfurt have delivered some below-par performances on the road of late. They did beat Hannover in their last away match, though that’s not exactly something to shout about. Prior to that, they were without an away win in four, during which time they looked easy to get at, conceding expected-goals figures of 1.79, 2.58 and 1.61. If the likes of Mainz and Bremen can hurt Monday’s visitors, then Dusseldorf, who’ve done well at home of late, ought to be capable of doing plenty of damage. When we consider the fact that the visitors will have an eye on Thursday, alongside the fact that their recent away performances have been less impressive than Dusseldorf’s recent home performances, then it becomes very easy to side with the hosts at the current prices. All in all, Funkel’s men ought to be a tad shorter, so supporting them to treat the home crowd to a win represents a slice of value. Fortuna Düsseldorf have won just one of their last seven Bundesliga meetings with Frankfurt (D2 L4). However, that 4-0 victory came in their most recent home clash – Fortuna’s joint-biggest BL win over Eintracht. Düsseldorf have only conceded more Bundesliga goals against FC Bayern (109) than they have against Frankfurt (105). Düsseldorf have won four of their last five Bundesliga home games – the exception is their heavy defeat to RB Leipzig on matchday 19 (0-4). 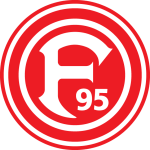 With 31 points after 24 games, this is Düsseldorf’s best Bundesliga campaign for 28 years – they had 35 points at this stage in 1990-91 (converted to 3-points-per-win rule). Eintracht Frankfurt are unbeaten in their first seven BL games after the winter break for the first time in 29 years (W3 D4). They have only gone longer without losing at the start of the Rückrunde in 1976-77 (17 games) and 1980-81 (9). Frankfurt have scored 47 Bundesliga goals this season – only the top two, Dortmund (58) and Bayern (56), have been more prolific. 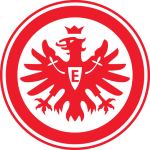 Eintracht have already netted two goals more than in the whole of last season (45). Frankfurt’s Luka Jovic scored five goals in the reverse fixture, making him the youngest player to score five or more times in a Bundesliga game (20 years, 9 months and 26 days old). Frankfurt’s Goncalo Paciencia scored a 96th-minute winner to beat Hoffenheim 3-2. Not only was it his first BL goal in what was his third game, but it was also Eintracht’s latest BL strike since detailed data collection began (2004-05).